The American Thanksgiving is always held on the fourth Thursday in November, whereas the Canadian Thanksgiving is held on the second Monday in October. 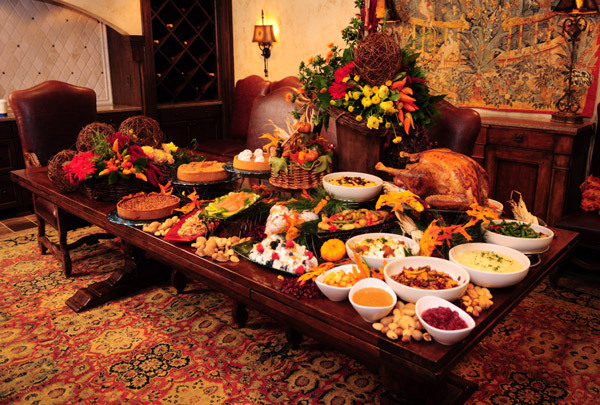 Thanksgiving celebrates the successful harvest and that is usually done with a big feast. Typical Thanksgiving meals are turkey with mashed potatoes, gravy, stuffing and other side dishes; and as desert pumpkin pie. In the United States and most provinces of Canada, Thanksgiving Day is a holiday. (Except in the four Atlantic provinces: Prince Edward Island, Newfoundland and Labrador, New Brunswick and Nova Scotia). But North American’s aren’t the only ones celebrating Thanksgiving. 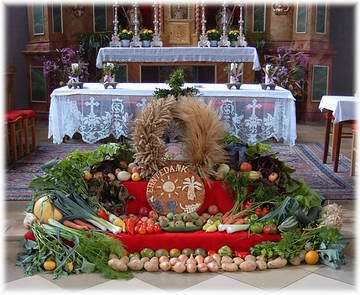 The idea of celebrating the successful harvest is old. The Greek and Egyptians offered sacrifices to their gods and it is believed that the Romans started celebrating a successful harvest around the second century. and as it is on a Saturday, people just treat it as a holiday. People gather together for a big feast, special beers are brewed, oftentimes a pig on a spit is eaten and people dance, sing and celebrate until late at night.